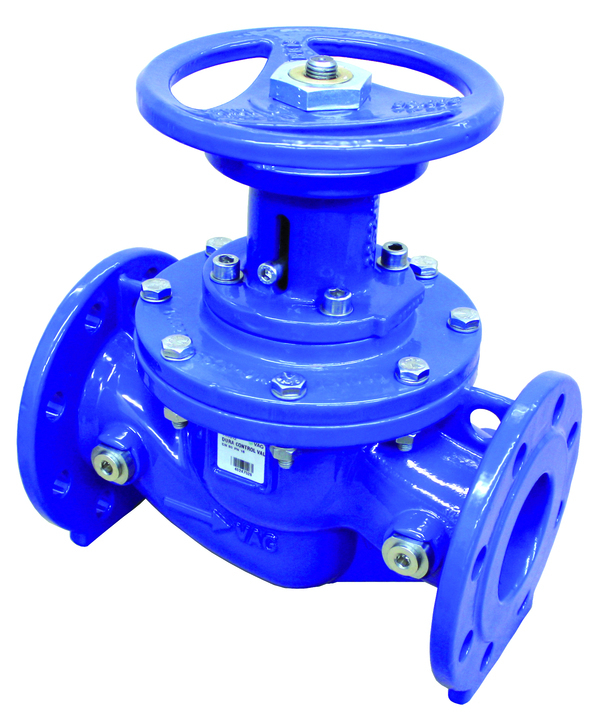 Externally controlled control valve for the regulation of the pressure and flow rate in service areas with external power supply. The control characteristic can be adapted to the operating conditions by means of a finely slotted cylinder serving as control insert. Suitable for use in water treatment, water distribution, in power plants, in industry and in pressure management.